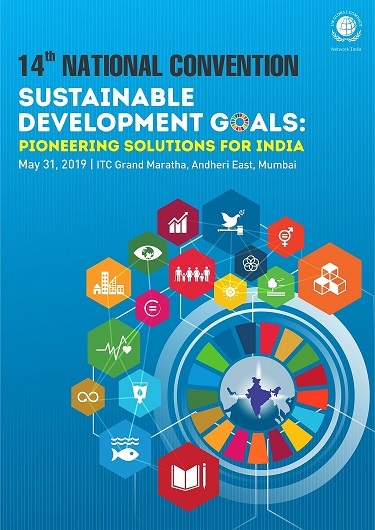 Global Compact Network India is pleased to announce the 14th National Convention on the theme of “Sustainable Development Goals: Pioneering Solutions for India". The theme of the convention puts emphasis on the real, on-ground actions that the businesses need to take to make a real impact on achieving the SDGs while also creating economic value for the nation. The Convention represents collaboration and wide participation from the various sectors – Public, Private, Non-Profit and Government. The prime focus is to showcase the respective ideologies, methodologies and most importantly, case studies depicting the wide implementation of sustainable innovations and leaderships that is taken up by the various companies and organizations in India.